Zero-bezel projected capacitive multi-touch display designed for 24/7 operation. Austin, TX – September 9, 2016 – TouchSystems, a leading provider of professional-grade touch display and digital signage solutions, announced today the latest offering from its P-Series large format touch displays. 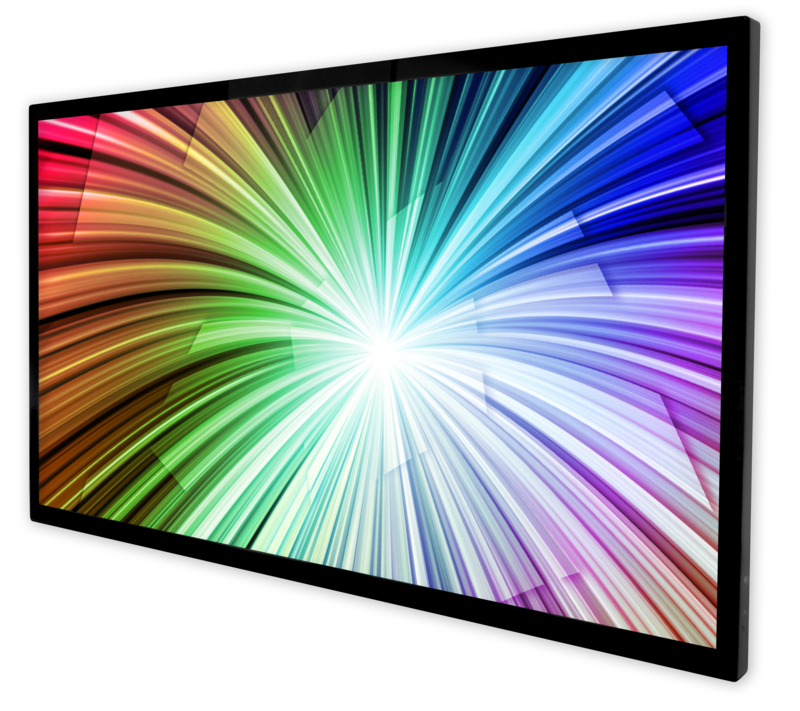 The 55-inch P5530P-3 touch display features a 10-point multi-touch projected capacitive (PCAP) touch sensor, OPS compatibility, built-in thermal management, bezel-free chassis, and is designed for 24/7 operation. The new P5530P-3 features NECs energy efficient LED edge-lighting technology for dramatically increased efficiency resulting in a complete solution over 50 percent lighter and thinner, and consumes around 30% less power than comparable multi-touch displays. The integrated PCAP touch sensor provides fast touch response in a sleek, bezel free design. Customers will benefit from reduced installation costs and reduced cost of ownership in a complete solution that is aesthetically pleasing. The display features internal temperature sensors with self-diagnostics and fan-based technology for increased protection against overheating to maximize the lifetime of the investment. The P5530P-3 is idea for high-traffic areas and harsh environments such as public use terminals, retail outlets, hospitality, kiosks, and healthcare facilities. Adding to the display performance, the P5530P-3 features integrated Open Pluggable Specification (OPS) compatibility for best-in-class connectivity. The dual expansion slots in the back of the chassis adhere to Intel specifications for standardized and simplified digital signage installations. Customers can easily install the media player of their choice without the need for additional brackets, cable management, or related hardware, further reducing implementation costs and providing for cleaner installation. To bolster the high-performance of the P5530P-3 multi-touch display features a 3-year parts and labor warranty that includes the backlight. Since 1996, TouchSystems has been a pioneer in display enhancement technologies. TouchSystems works with customers to create innovative solutions such as desktop touch monitors, interactive digital signage, all-in-one systems, kiosks, and industrial controls and peripherals. TouchSystems is based in Austin, Texas and is a division of Touch International, Inc.